Its been a little while since I last ran a Q&A session on SWT, but i’m delighted to say that recently I had the opportunity to catch up with Nimble CEO Jon Ferrara to get his thoughts on the customer relationship management (CRM) industry. I’m a big fan of Nimble – its many features and low cost, make it, in my opinion the best CRM available for small businesses. Why CRM? It’s a good question. Although this blog primarily focusses on public relations (PR), big data and content, as my career has progressed I’ve had to learn on a very granular level how marketing works together with sales and customer service to nurture, convert and retain customers. Understanding someone’s first interaction with a brand right through to their last is hugely important, and it’s been complicated by social media. Having the right CRM tool makes this infinitely more manageable, but more importantly is a very effective way to keep generating sales. CRM is an area i’m hugely interested in and if you work in digital marketing, i’d suggest you read on. And to have an interviewee of Jon’s calibre is an even bigger reason to continue reading. Jon is a hugely successful entrepreneur (an area of particular interest to me at the moment) and was co-founder of GoldMine – one of the pioneers in sales force automation (SFA) and CRM software, before setting up Nimble in 2008. In short, Jon is a start-up veteran who knows what it takes to lead and grow a successful business. Nimble describes itself as ‘the only solution to offer small businesses the best features of high-end CRM systems combined with the power of social media’, but you can find out more about the company from its website, blog, Google+ page, Facebook community, LinkedIn group and Twitter stream. 1. How important is social in CRM? There’s nothing more important in today’s social, global business environment than socializing in an organized, insightful way with your prospects and customers. The trick is connecting effectively with your contacts across many channels, including social. With the right workflow and the right tools (like Nimble!) you can stay in touch, check the social signals, add value, spot trends, and more. This insight-driven relationship management focus makes it harder to drop balls, and easier to do what is most important. 2. What are the common challenges your clients face? Almost every person they know has a digital footprint that has exploded exponentially. People are talking, interacting, asking questions of peers and experts, and giving off signals. It’s very hard to manage all this noise. We’ve all seen that Dunbar’s Number limits the number of relationships we can juggle effectively. Add to that the many hats that most sales people or small business owners face, and you’ve got a recipe for starting the day off feeling already behind. 3. What does “contact management for the 99%” mean? Today, you no longer need an enterprise CRM to manage a large number of contacts. You can adopt a browser-based SaaS offering that will give you powerful contact management features, accessible to all – the 99% of businesses that aren’t the Fortune 500. 4. What 3 trends do you expect to see in Social CRM over the coming 12 months? Companies will be required to become social businesses and it will happen as a result of enabling socially empowered employees. Twitter will continue to increase in importance as a key social selling, listening and engagement platform. Social selling best practices will move beyond marketing into sales, service, product and the C-suite. Businesses will wake up to the need to participate in the new buyer journey as a trusted advisor. Social selling will become as natural as breathing for many businesses. 5. Where do you see the CRM industry in 10 years time? We see it as much more focused on relationship-driven business. People will expect a personal association, driven by mutual benefit. Businesses will think of a relationship arc with their prospect or customer more as a long-term investment — along which sales may occur. But those sales will occur because of genuine, natural, and mutually beneficial associations. People buy from those they know and trust. That is our vision and expectation. We will also likely see a steady rise in the use of social selling techniques and tools as practitioners continue to outpace their peers. It really comes down to the bottom line. The most effective salespeople are always those who are working smart — and taking advantage of every potential insight available to them. 6. What is Smart Summary and how does it work? The Smart Summary is a precise, detailed background summary of additional useful information about any contact — information that will make it easier to establish and build natural working relationships. The Nimble Smart Summary feature provides immediate and relevant context and helps create a fuller, more detailed picture of any contact. The feature populates the contact record sidebar with “dossier-style” information. This information pulls automatically from publicly-available sources — updated daily — no hunting or data entry required. The picture of any person is current and accurate, and users can quickly remind themselves who a contact is, why they are important, and find points of commonality and shared interests. 7. 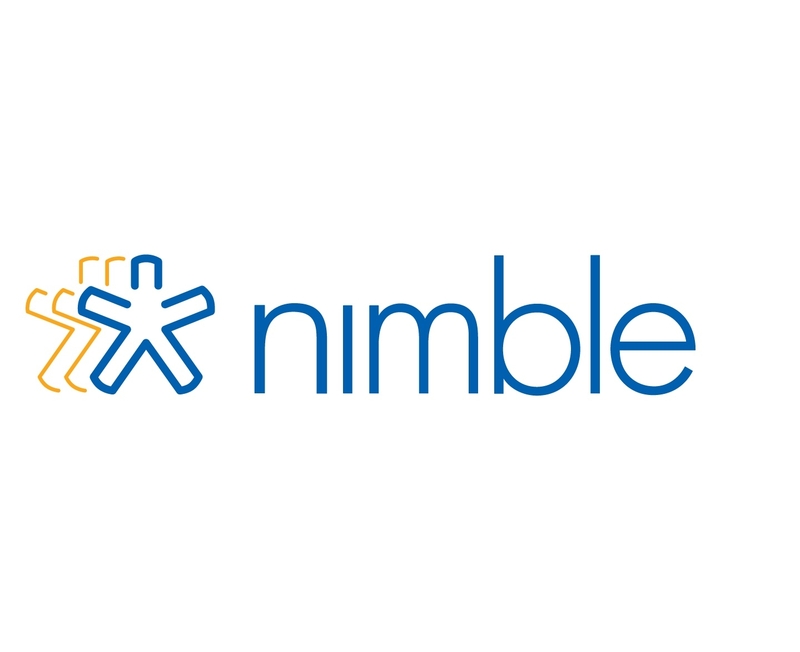 What are the benefits of Nimble? Know more (and more useful) information about your contacts — without data entry. Smart Summary provides Information that is updated daily. This information is publicly available, but would be time-consuming to find. Nimblebrings it directly to you. With people’s digital footprints growing in size, and with networks expanding exponentially, it’s becoming more difficult to keep contacts straight. Users can quickly remind themselves who a contact is, why they are important, and find points of commonality and interest. In short: Contacts in Context! Sharing a Smart Summary with others turns people into Super Connectors — and that’s a definite competitive advantage. 8. How does Nimble scour the web to provide context and insights? It’s magic! Brought to you by our Nimble Development team. 9. Who should be using Nimble? People who want some peace of mind that they’re finding and interacting with the most important people at the right time as they build their business. Nimble empowers vibrant, dynamic relationships. 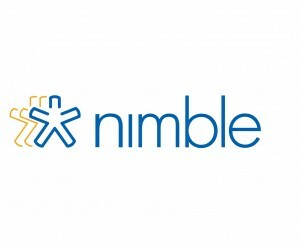 10. Who is already using Nimble? I’d like to thank Jon for his time and wish him all the very best for the future.